There are a number of suppliers of fruit machines in the UK. The official name for fruit machines is amusements with prizes (AWP) because they are licensed as softer gaming machines compared to the casino style terminal you find in high street betting shops. JPM have been providing fruit machines to pubs and clubs for over 30 years, and have been responsible for creating some of the most popular pub fruity’s including Monopoly, Rollercoaster, Money Talks, and more recently Casino Crazy, Red Alert and Cash N Curry. JPM fruit machines are either in a 3 reel format for pubs, or 4 reel formats for private clubs, offering jackpots of up to £250. The closest you’ll find to JPM fruit machines online is at Ladbrokes casino, who offer a dozen UK style pub fruit machines with holds, nudges, hi-lo gamble and board features. Play now at Ladbrokes casino. Maygay are another large producer of pub slots and fruit machines for UK pubs and clubs, and if you’ve ever played The Italian Job or The Simpsons Meltdown, you’ll have experienced the excitement of Maygay Fruit Machines. If you are looking to play Maygay fruit machines online your best bet is to try All Slots casino with over 200 slots to choose from including a number of UK style pub fruit machines. Play now at All Slots. Barcrest fruit machines include house hold names such as Cod Father and King Kebab. With over 40 years experience in providing fruit machines to pubs, clubs and other leisure venues, Barcrest is one of the most trusted names in the industry. Recently Barcrest have launched some of their most popular fruit machines at Sky Vegas casino. 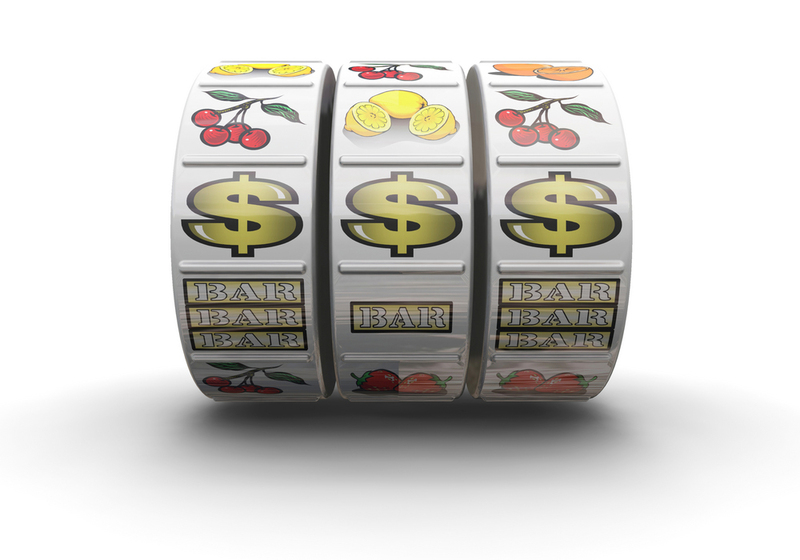 You’ll find some of Barcrest’s biggest and best known fruit machines including Rainbow Riches, Reel King and Cashino. If you like Barcrest slots, why not read our section dedicated just to Barcrest online fruit machines here.